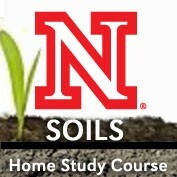 The purpose of this course is to increase the users' knowledge of soil science including the origins, physical properties and chemical properties of soil. This will aid users in making management decisions related to soil fertility and crop production. This in turn can improve the efficiency of fertilizer applications, reduce nutrient loss, an improve crop yields. This course is intended for crop consultants, agency personnel, crop producers, and others interested in soil science and soil fertility management. Course instuctions included in PDF download. CEU Credit is available. $10 per credit. Course is worth maximum of 10 credits. To earn CEU credit, you will need to receive at least a 75% on quizzes. You may retake quizzes as many times as needed. Please contact Brian Krienke for details on the course. *Please provide an email address for accessing the course.